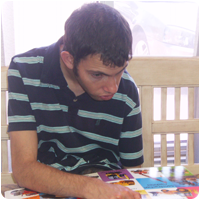 The purpose of our literacy program is to open doors to the World of reading and writing. This enables each individual to express their thoughts and feelings thoroughly. We want to find what level each individual is at so that we can empower them to excel and expand their minds to all the potential they possess. We would also like to aid in sustaining education levels that have been previously acquired throughout the clients school years. As well as collaborating with St. Amant and their Speech Pathologists to create an effective individualized program. Along with this we are teaching basic ASL (American Sign Language) so that those clients who cannot express themselves verbally can do this through alternative forms of communication. This includes the Mayer-Johnson Board Maker. It is a very versatile program and can enhance instruction and learning for a wide range of client needs. 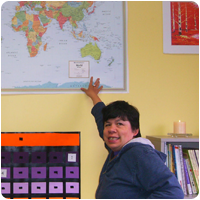 Norshel also utilizes Writing with Symbols to create Individualized Communication Booklets. Our goal is to Empower each individual so that they can be self-reliant in their thoughts and actions. 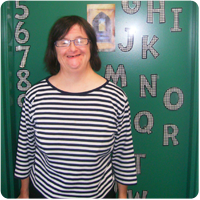 Norshel Centre supports adults with physical and developmental disabilities.